That is an $8 trillion question, and the answer depends upon who you ask. People might suggest any of the following, but these answers provide little insight into future prices. Gold is useless and should have a near zero price. 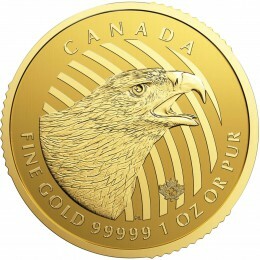 Gold is a commodity and has no place in the modern (paper and debt) financial system, so its price is irrelevant. Gold is what it is and the COMEX price will be correct, by definition. Gold is the ultimate money, and all else is credit – following the lead of JP Morgan a century ago. It is worth more than current COMEX prices because prices are suppressed by governments, central bankers, and the “paper-pushers” on Wall Street. Gold solves the hyper-inflation problem. When the financial system implodes and currencies drop in value to near zero, gold will be priced at $10,000 to $100,000 per ounce. Using history for guidance, gold has held value for thousands of years. It seems obvious (decades of history) dollars, yen, pounds and other debt-based fiat currencies will be over-printed, and the price of gold must rise along with other consumer and commodity prices. In uncertain times people depend upon the universal value, liquidity, and permanence of gold. Fear increases the price of gold. Lack of confidence in paper currencies and lack of trust in central banks increase the price of gold. Wars and currency inflations increase the price of gold. Debt based paper currencies come and go. Their permanence is an illusion while gold is real. Would you rather own gold or trust the paper currencies issued by Venezuela, Argentina, Turkey, the UK or the United States? Russia, China and India trust gold over paper currencies. 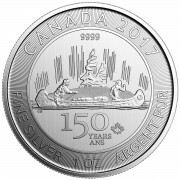 But what price should we project for gold in several years? Four years ago I wrote the book “Gold Value and Gold Prices From 1971 – 2021.” The book provided a calculation for the value of gold based on three external variables. Price of the S&P 500 Index as an indication of the desirability of paper assets (S&P 500 stocks, bonds etc.) versus hard assets and commodities. The book showed that smoothed gold prices correlated with calculated prices based on the above three variables over four decades. 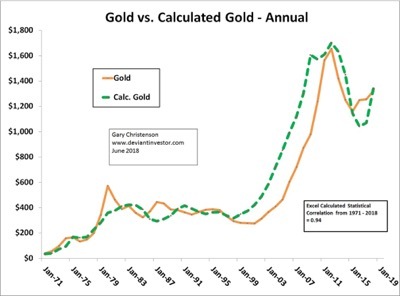 The following graph of calculated versus actual (smoothed) annual gold prices was published in 2014. I updated the model with 2018 data and slightly changed weighting for the three variables. The updated results are shown below. Remember, this is a valuation model, not a timing model. The model shows a substantial increase in calculated gold prices in the 1970s, a “fair” valuation of about $400 in the early 1980s, even though gold prices peaked above $850 in January 1980. 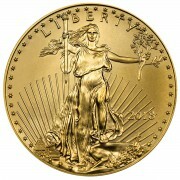 The model calculated flat prices for the late 1980s and 1990s, but projected higher gold prices from 1999 to about 2012. As we know, gold prices bottomed in 1999 and early 2001 and rose until August 2011. Following the peak in 2011 gold prices fell until December 2015. The model projected weak prices into 2016 with a low valuation price of about $1,000. Actual low gold price was $1,045 in December 2015. Excel calculated the statistical correlation between smoothed annual gold prices and calculated gold prices at 0.94—high. This is a valuation model, not a timing model. 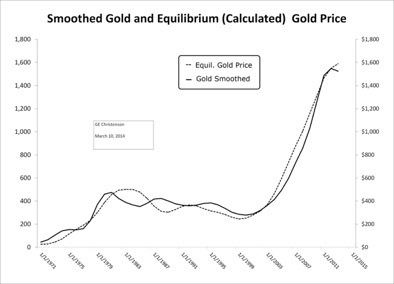 The price of gold can streak higher (1980) above (and below) its equilibrium value as calculated by the model. Gold prices crashed after 1980 because they had risen too far and too fast. Market prices fell back to near the calculated value. The model will calculate a value higher or lower than market prices, but will (we trust) calculate a fair or equilibrium value for gold. The model worked well from 1971 – 2014 but may not create accurate representations for the next 10 or more years. The model’s input variables are national debt (easy to estimate), price of crude oil (difficult to estimate in future years) and S&P 500 Index (difficult to estimate). The equilibrium gold price projections several years out may be low or high based on future estimates for crude oil prices and the S&P 500 Index. S&P 500 Index prices (times one trillion) compared to national debt are high in 2018. Based on three decades of history we expect the ratio to fall to less than half its current number. The S&P 500 Index, other indices and most individual stocks are over-valued. The stock market bubble awaits a pin. Future prices for a fair or equilibrium value of gold are calculated based on assumptions about national debt increases, future crude oil prices and future S&P 500 Index prices. Part two of this article will make projections for those equilibrium gold prices based on several assumptions regarding debt increases, crude oil prices and the price of the S&P 500 index. 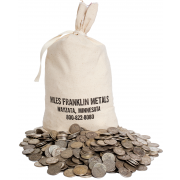 While you wait for the remainder of this article, call Miles Franklin and purchase silver and gold as insurance against the inevitable increases in national debt, consumer price inflation, political nonsense in congress, “out-of-control” spending, economic craziness, central bank induced inflations, and geopolitical uncertainties. Well written article and I especially like the calculation on the finer details of what affects the price of gold in real time and projection of future price. Most people I speak with that know I trade PM mining stocks will tell that they saw gold went up in value. I usually explain to them that gold typically remains the same, it is the US dollar value that went down and now it just takes more dollars to buy an ounce of gold. Some understand this, but many more just looked puzzled. I just simply say that as more dollars are created it causes deflation of the dollars value and inflation on the prices of commodities.